Another Beautiful Day in Paradise. We had a very nice day with no breeze. 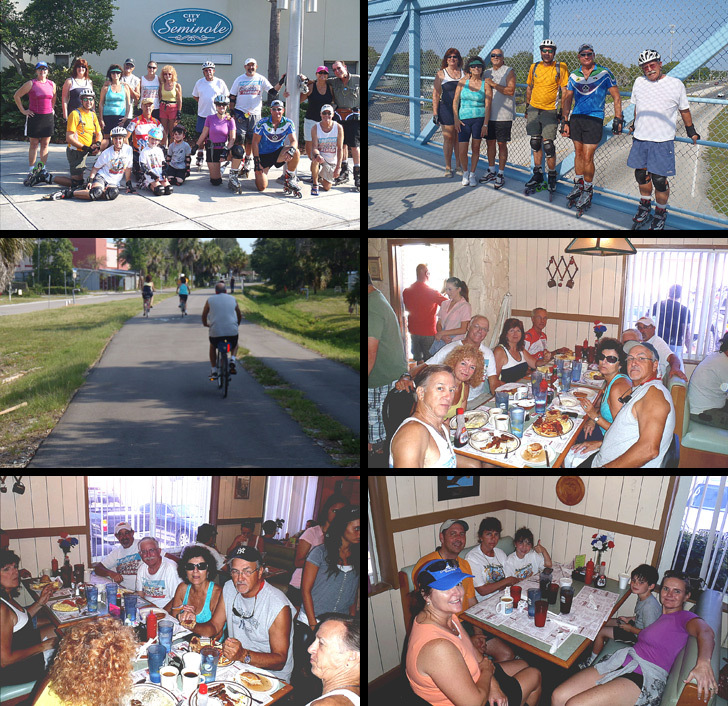 We headed North up the wonderfully smooth newly redone Pinellas Trail. New bicyclists Cindy B came. Absentees Tom, Kim & Delaney D, Kim F's child, Phil, Glenn & Sandy R, Monika and Rob H came. Welcome all. Our group went to East Bay and back. Rick reported the millage was 11.2 miles Not sure if anyone went further or not. We had 6 bicyclists. We Brunched at Doe Does as planned. They were very busy but Jeff went ahead and got us in line and we only had to wait a few minutes to get seated at 2 tables. Thanks Jeff. Service was good and we got in and out in about 45 minutes. Rob rated his Brunch at 9.375.